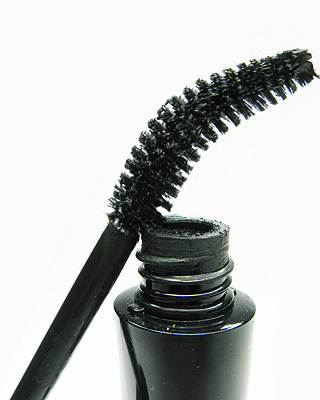 There are so many mascaras available these days that it is difficult to know which one to go for. Each brand has its own unique selling point of textures and miraculous ingredients which do help but a lot of the work comes down to the brush. Depending on how you like your lashes to look I will break it down into brush categories for you to help in your decision making! This style of brush is usually made of plastic or rubber, with tiny little teeth evenly spaced along the head. Often slimline, these are really good for people who like a lot of separation and definition. I always find these mascaras can be quite wet and tend to pick up a lot of product.I think maybe because the plastic doesn't absorb any of the product, it just sits on the brush. Good for people with not many lashes or particularly short lashes. Dior New Look Mascara, Mac Studio Fix lash, Benefit They're Real Mascara, Revlon Custom eyes Mascara, Bourjois Volume Glamour Max Definition Mascara. Big fat chunky, bristly brushes are good for people who want a lot of volume and curl. The bigger the brush the further round the brush the lashes have to curl which creates a more lifted appearance in lashes. Generally if there's loads of bristles then the lashes will pull closer together and create a denser product placement. Lashes will look more block style, heavier and fuller. Good for people with big eyes and loads of lashes. The wands are for those of you with poker straight lashes. Always use this type of mascara so the curve faces upwards and the lashes sit into it.The wand should do all the work and gently create curl in the center of the eye whilst lifting the edges up a little more.Resulting in a soft bend in your lashes and a wide eyed appearance. Clinique High Impact Curling Mascara, Estee Lauder Double Wear Curling Mascara, Avon Super Curlacious Mascara, Collection 2000 Pump Up the Volume Mascara. This wand is similar to the big bristly brush but the tip tapers off to a point. These brushes are good all rounders providing the volume from the bulk of the brush but you can then use the tip of the brush to pick out the individual lashes for more definition. Good for long and short lashes but nice if you have lots of little lashes on the inner corner of the eye and want to pick them out with your mascara tip. time applying and arranging their lashes! The brush looks like a victorian torture implement but despite the confusing brush it works mostly in the same way as a normal brush but just much smaller. Similar to the plastic comb wand it will separate and define but you need to work with it in small sections. Great for people that have sparse lashes or those who have millions of lashes. Because of the size you can be accurate in your product placement and pick out all the lashes with ease. 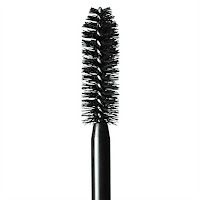 However, if you have hooded eyelids the bulkiness of this mascara wand may cause you to catch your lid easily and I also find it very hard to use on my own bottom lashes. If your a lover of your bottom lashes or fancy having the Twiggy wide eyed bottom lash emphasis then you may like this mascara wand. There is no reason why you can't use it on the top lashes as well but as it's a mini brush with defined bristles it may take a while! 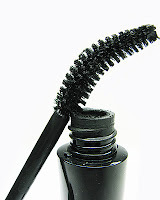 A great wand for precise application of mascara to the bottom lashes without getting it on your skin or or clumping. Clinique Bottom Lash Mascara and Daniel Sandler Baby Jet are the masters of this type of mascara. Which wand do you use? The massive bristle brush. But I haven't tried all of these wands. The Spherical Brush looks interesting! I don't completely like any of them. The plastic ones tend to not feel that great on my eyes.The fuller ones don't always apply enough mascara and the round one I tried seemed to take forever to use and felt very awkward. I like a medium brush with firmer bristles and then I bend it to put it at an angle / so that i get some extra lift in my lashes without using a curler and then if I need to I bust out my trusty metal lash comb. That being said, the only mascara I have every bought twice was Maybelline one, daring curves or something, it was a curling mascara with an arched brush. I use the curve wand (Maybelline The Falsies) & the tapered brush (Maybelline Lash Stiletto). I have question though my sister has short eyelashes that are tightly curled that touches her eyelids which kind of wand/mascara would you suggest she should use? I am a bristle gal... Not a huge fan of plastic wand. I end up putting it on my lid! I like the tapered brush, there better for my small eyes, I think I might try the sperical brush. I have Revlon big luscious lashes and I hate it the wand is way to big for me. I really want to try clinique bottom lash! Plastic wands feel really odd to me! Wow great post, do you think you could do another on mascara formulas? Like lengthening, volumizing, etc? and which ones are best for which types of eyelashes? I've got lashes that point straight down (Asian eyes) and mascara always weighs them down even if I curl them well. Michelle, I have very short, straight lashes and recently tried XXL Pro Maybelline mascara. 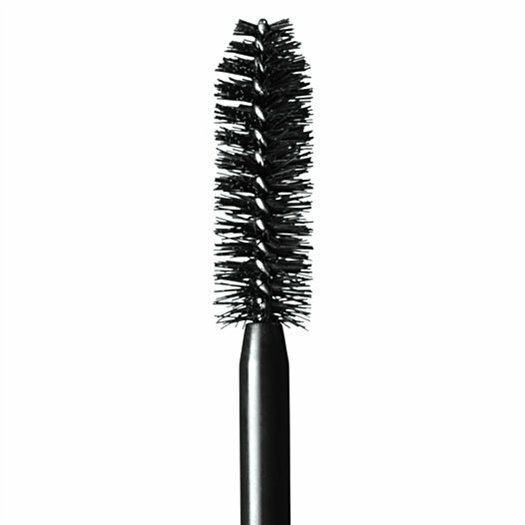 It is a dual wand, but it has made a huge difference in my lashes. I curl my lashses before applying and they look great but if I want extra curl, I can curl them again (after applying Mascara) and it stays all day! I have used Clinique, Bare Minerals, Lancome, etc. and none have looked as good or stayed as long as the XXL Pro Maybelline. Give it a try! Actually, I find the opposite is true with the plastic comb brushes. My eyelashes are fairly sparse and when I use a mascara that has those plastic/rubber brushes, it puts so much product on the lashes that they clump together and just look awful. Yet the bristle brushes work great, allowing me to layer product on while keeping the lashes separate. Very nice very nice post! thanks for sharing! A japanese one where there's a comb like on one side, a curved brush on the other and a small bottom lash at the end of the wand. 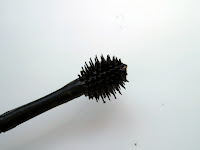 Plastic comb wands have been a bit of a lifesaver for me, but the 'naughty' massive bristle brush on Mac's Haute & Naughty mascara gave me the biggest, nicest lashes I've ever had! I'm a fan of tappered brushes : Lash architect (L'oréal) and Smoky lash (MUFE) are incredible. But these days I'm using a plastic comb one (False lash effect, Max Factor) and it's quite as good as the tappered brushes! The first - The Plastic Comb Wand. 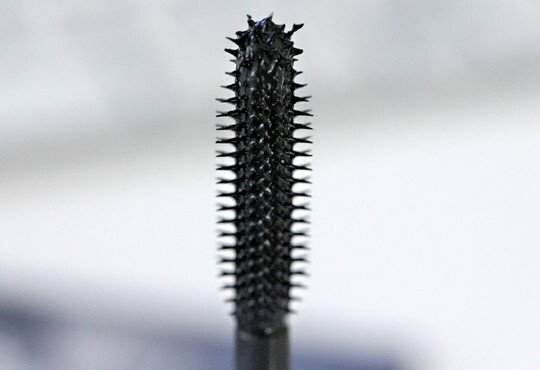 It´s by Gosh (Serious Volume Mascara) and I really love it! I wrote review about it. I actually prefer the plastic wands the best. 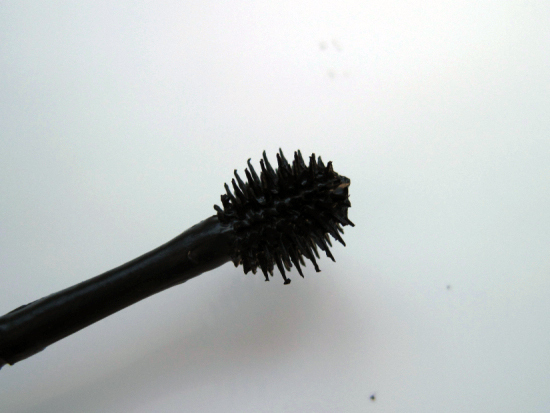 I find the bristle brushes clump my lashes like crazy and usually have more of a wet product. Plastic wands separate my lashes and don't give clumpy lashes, which is not the look I go for. now i have finally understood what i need to search ! I have tons of lashes...they are just light brown and blonde on the tips, but I love the big ol' teddy bear brushes. Sometimes though,with mascara, my lashes get so long that they actually brush the inside of my glasses! I'm a bristle fan also, really can't get on with plastic Mascara wands. :) great post very informative. The plastic comb is my favorite, and the one I use most frequently. I love you girls for blogposts like these, almost no blog gives attention to things like these and it makes choosing a mascara so much easier! Thanks! My eyelashes are very long and thick, and therefore tend to be quite unruly if I use anything other than a plastic comb wand. I spend maybe 5 minutes on separating my eyelashes alone, so long rigid bristles are definitely the way to go for me. I have really long eyelashes, kind of medium brown and I absolutely swear by a plastic comb mascara, bristle brushes just clump my lashes up. I've tried lots and always sworn by maxfactor masterpiece (just fab!) but lately I've been using the maybelline pulse which is completely and utterly amazing it vibrates on a plastic comb brush and separates and extends each lash perfectly like nothing I've ever seen before, thought it was just going to be another silly gimmick but Can't tell you how amazing it is! I got mine on Ebay for a really good deal, £3 I think, but think it must be an American only products as it came on a American sealed card wrapper and haven't seen it here.